Our series of foundation classes take dogs from the very beginning with Intro to Nose Work, then expand those concepts learned in a variety of locations including interior, exterior and vehicle searches. Target odor is introduced, and the dogs continue to learn how to problem solve in a progressive way to more challenging searches. Each dog progresses at their own pace with individualized learning tasks that build their confidence, curiosity, independence, drive, and motivation. 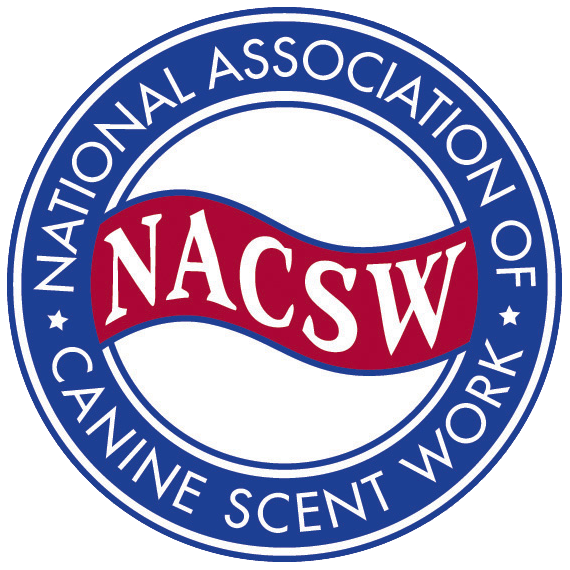 Continuing Nose Work classes build upon the strong foundation the dogs have received, and they progress to more advanced levels as they are ready. Each skill builds upon the last in a way that is both achievable and fun, while continuing to maintain their foundation. The handler and dog grow as a team while developing their own sets of skills together, and deepening their bond in the process of learning to understand each other’s language. Need more foundation? Reached a plateau? Or have a particular problem you and your dog need help working through? We can help! In our continuing Nose Work classes, we can identify where you may have gaps or holes in your training, your dog’s understanding of a concept, or ways to help rejuvenate their motivation. Contact Barb to sign up for some sniffing fun!